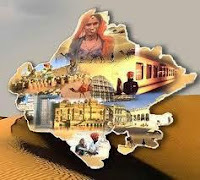 Rajasthan GK Question in Hindi Sample Paper 171: Rajasthan General Knowledge Sample Question Paper with Collection 10 Question of Rajasthan GK Questions for RAS, Rajasthan Police, REET, SI, Contable, Patwari and other state exams under GK Quiz in PDF @ Rajasthan GK Sample Papers. Rajasthan General Knowledge (GK) and General Studies (GS) Questions from various examinations of Rajasthan Govt. and central Govt Examinations. Q.3336. एशेज क्रिकेट श्रृंखला 2015 किसने जीती है ? Q.3337. ‘जसवन्त पशु मेले’ का आयोजन राजस्थान के किस ज़िले में होता है?